The Connecticut DEEP, along with Mystic Seaport, announced that Tina Campbell Lyman of Stonington is the winner of the 2012 Connecticut Boater’s Guide Cover. 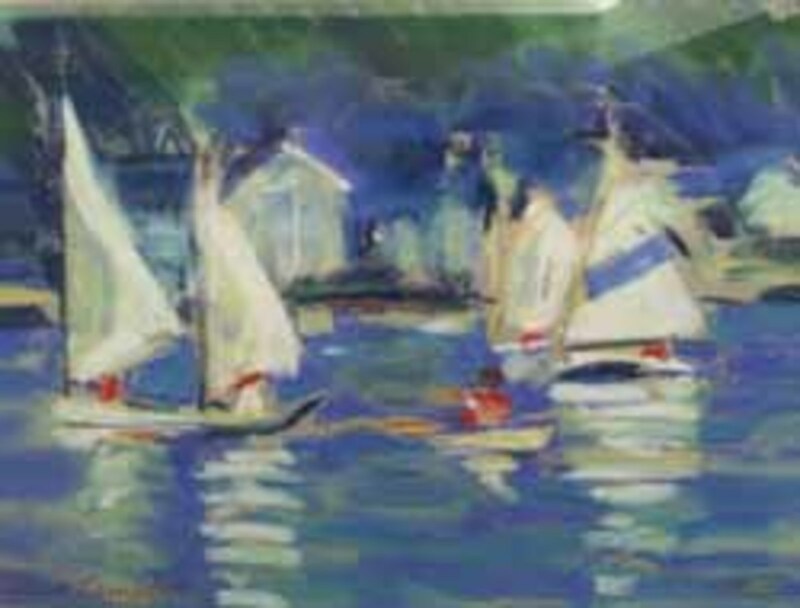 Lyman’s pastel “Learning to Sail” will be featured on the cover of the 2012 Connecticut Boater’s Guide Cover. The pastel depicts a group of sailors learning to sail in the Mystic River. “This award is very special to me as my husband and I enjoy sailing, and as a pastel artist, marine art is one of my favorites,” Campbell said. Gretchen Hatfield’s “Noank Scullers” and Elizabeth Pite’s “Avery Point Sunset II” were chosen as honorable mentions. Hatfield lives in Hartford and Pite lives in Stonington. Each year the DEEP publishes a Connecticut’s Boater’s Guide. The guide is a pocket-sized booklet containing updated laws and regulations, safety tips, coastal access points and environmental information of interest to the boating public. Approximately 92,000 copies will be printed and distributed statewide through marinas, town halls, libraries, and boating classes. To receive a copy of the Connecticut Boater’s Guide, contact the DEEP Boating Division at (860) 434-8638 or visit the DEEP website to obtain the Boater’s Guide electronically.